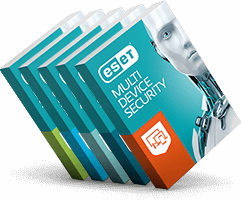 ESET prides itself on providing the best anti-malware products available today. We are committed to our clients' satisfaction with our products, and therefore offer a liberal 30-day return policy. If you are not 100% satisfied with your purchase, we will be happy to accept a return for a full refund of the purchase price. Your license to use the product will cease immediately on you submitting the request for a full refund. If you have been provided with any media (such as CD Rom, flash drive), you must return such media (at your cost) in merchantable quality to be eligible for a full refund. If 30 days is not enough for you to decide that ESET is the best solution for your needs, we suggest that you utilize our 30-day free trial BEFORE purchase. If you are not happy with our solution after the 30-day trial period, there is nothing you need to do. If you decide to purchase the product upon completion of the trial, our standard 30-day return policy will apply to your purchase. Please check your receipt to ensure that you have purchased the product directly from ESET Asia Pte Ltd (www.eset.com/sg site). If you have not purchased the product from ESET Asia Pte Ltd then you must return the product to the ESET reseller that you originally purchased from and they will assist you with your return. Please be advised that resellers of the ESET product line may have different return policies than those of ESET and your purchase is governed by the terms of such resellers. In order to return your purchase to ESET Asia Pte Ltd, please send us an email to sg.store@eset.com with subject of email “Product return”. Please have your original credit card available and enter the last four digits of the credit card into the email. One of our friendly representatives will process your request immediately. Please be aware, once we have processed your request, it may take up to one full credit card billing cycle for the credit to appear on your credit card statement. For warranty-related returns beyond the 30-day return policy, please see your rights under our End User Licensing Agreement.